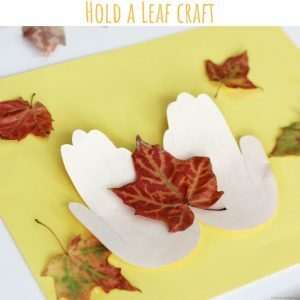 Are you looking for some easy but fun kid craft ideas for this cold season? 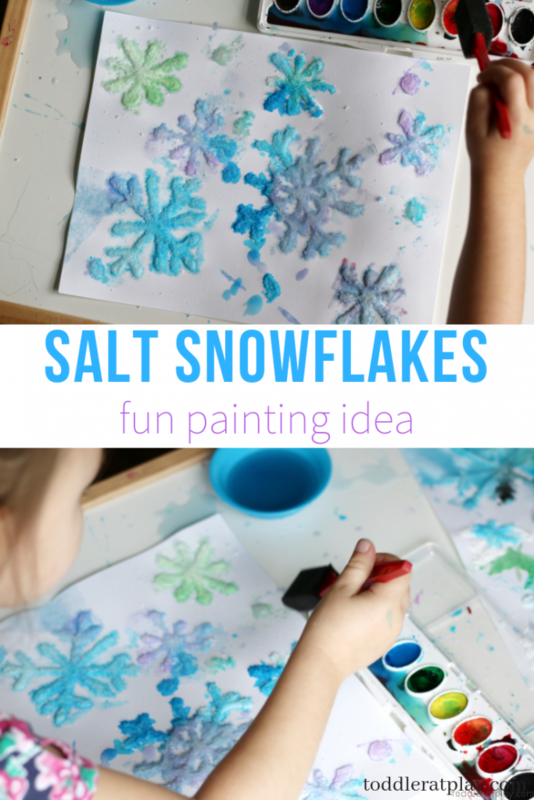 This Salt Snowflake Painting is a must! Why? 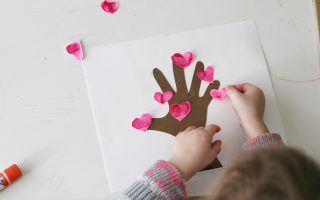 Well, first because you most likely have all the materials needed right at home and if not, I’ve linked them all for you (affiliate links). Second, it’s fun! Kid’s will looooove it! 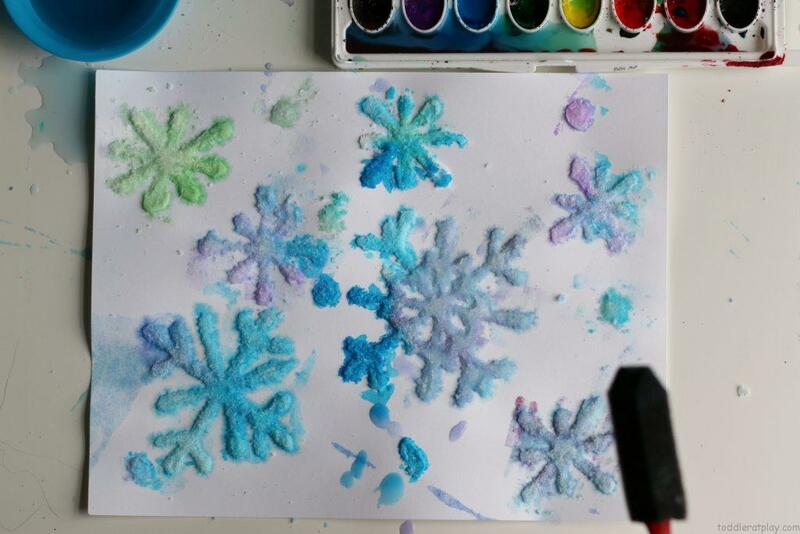 Salt snowflakes are beautiful, icy and magical. 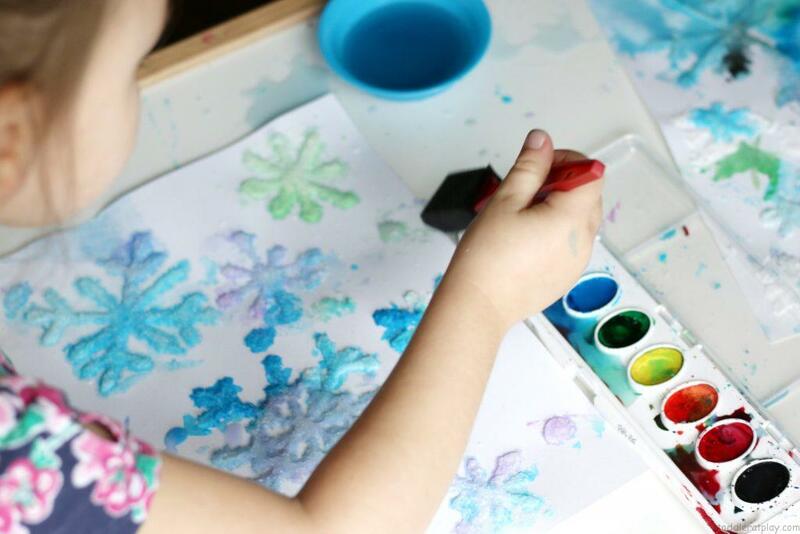 The watercolors spread over the salt like “little colorful lava”. You’ll see for yourself! 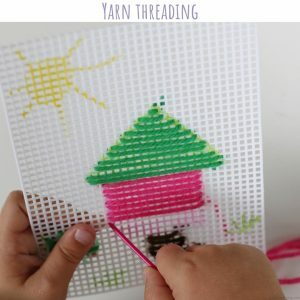 WATCH MY QUICK VIDEO- Subscribe to my YouTube channel if you would like to see more videos like this! 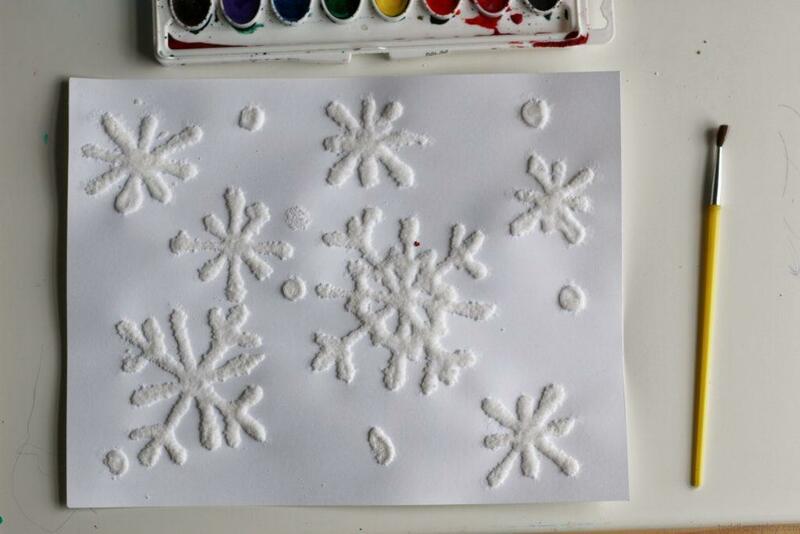 With your glue, draw as many snowflakes as you can on the cardstock. 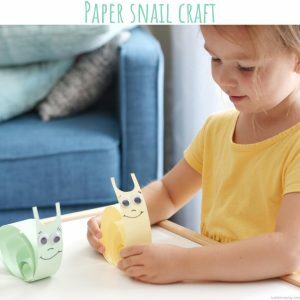 Make them in different sizes, shapes and styles. 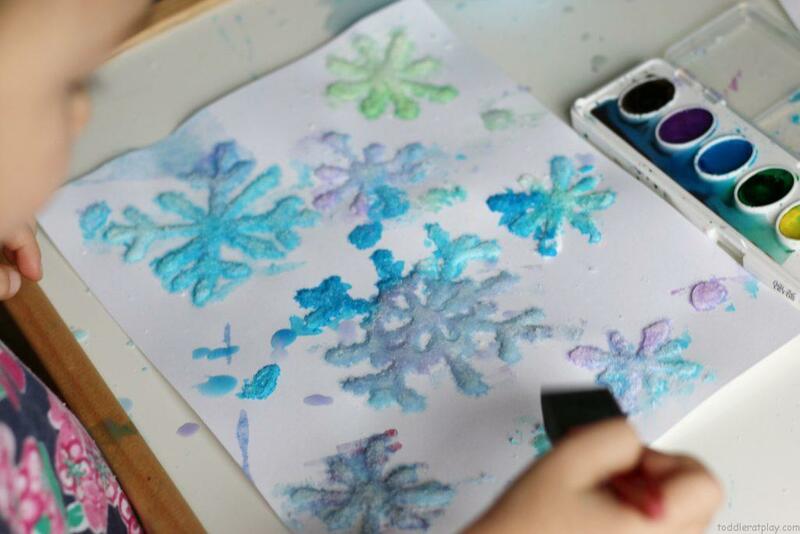 Sprinkle the salt over the wet glue making sure every part of the snowflake is covered. 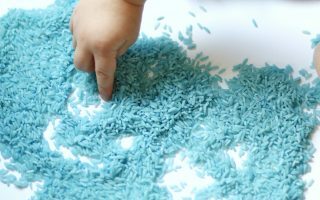 Shake excess salt off and let dry. 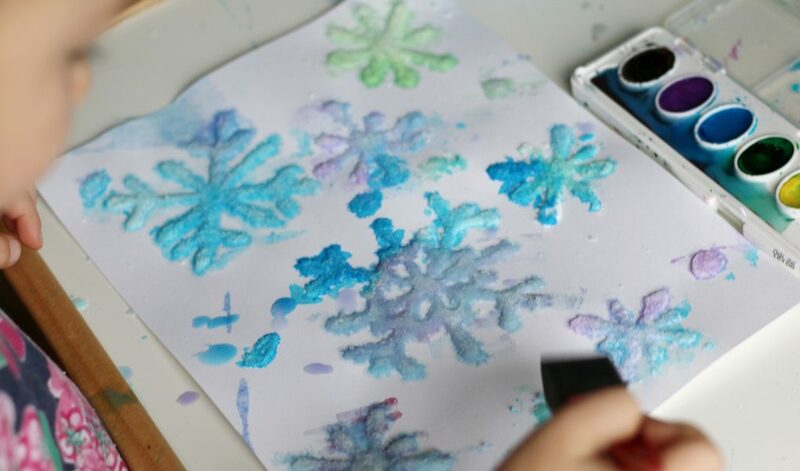 Once dry, let your child use watercolors to paint over the salt snowflakes by dabbing the paint brush up and down. 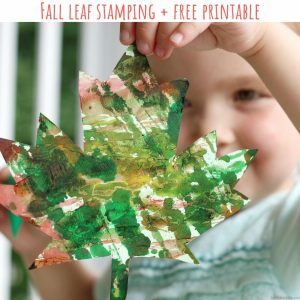 Want more craft ideas for preschoolers? Check these out! 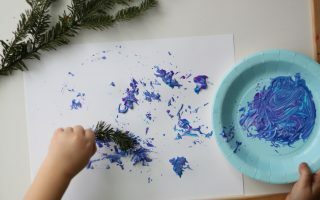 Are you going to make this simple but FUN craft with your kids this winter?